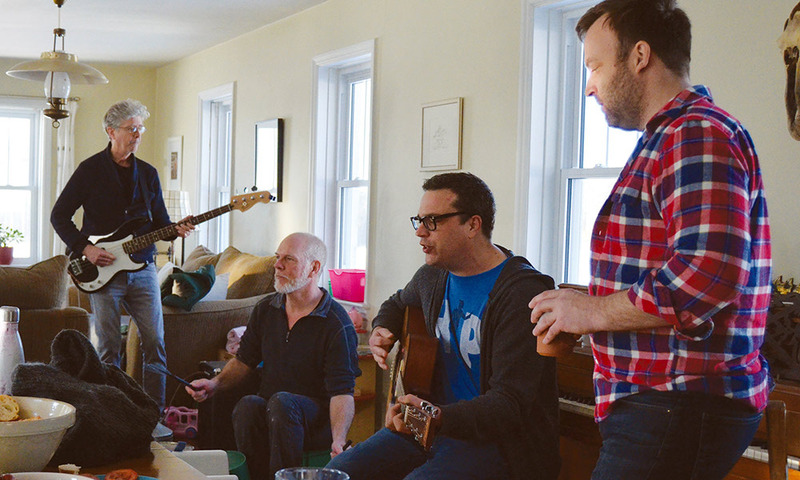 Blyth Festival Artistic Director Gil Garratt hosted the group over the weekend, which included all of the original artists involved in the project when it premiered at the Festival in 2017. The group – including Garratt, Gemma James Smith, J.D. 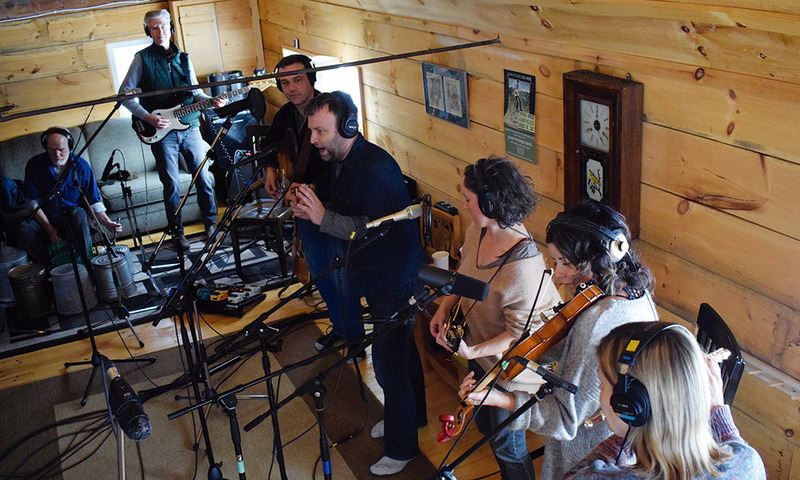 Nicholsen, George Meanwell, Rebecca Auerbach, Birgitte Solem, Jason Chesworth, Ajineen Sagal and even director Severn Thompson – began with rehearsals and some creative time at his Bayfield-area home and then spent two long days recording at the home studio of Holmesville musician John Powers. In an interview with The Citizen, Garratt said that as the show has continued to garner interest from theatre companies across the country, it was clear that the music from the show needed to be memorialized somewhere. With the music all being in the creators’ heads, he felt a recording only made sense. The music and arrangements don’t come to life as words in the script like they do when they’re performed on stage, he said. The cast tried to record the songs when they were being performed live at times, whether it be in the show’s original 2017 run or during its 2018 remount, but it never really translated to a usable recording, he said. Garratt said that while he and many of the other creators are no strangers to performing on stage, having the musical experience of established musicians like J.D. Nicholsen and George Meanwell in the group has really helped to steer the ship in the right direction. 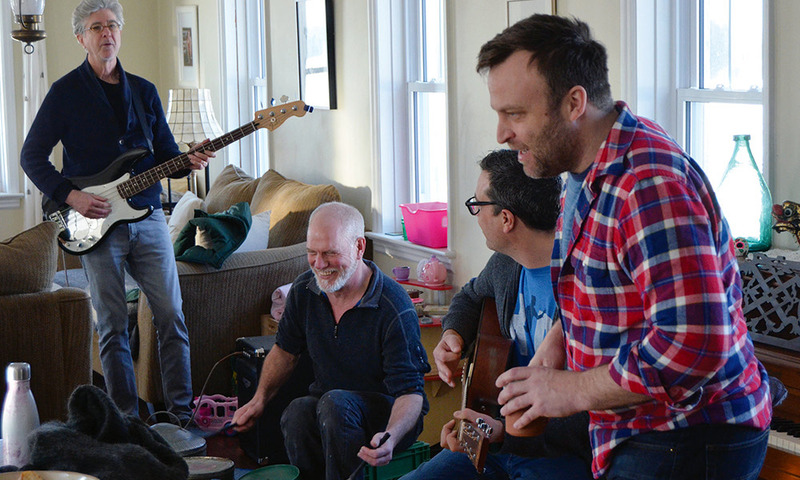 Nicholsen and Meanwell both have extensive experience recording – Nicholsen with the Juno Award-winning Leslie Spit Treeo and Meanwell with Short Turn and Quartetto Gelato – and that made working to arrange the music a much smoother process than it could have been. Garratt said that while all of the music in the play made sense to an audience watching a production telling the story of convicted huckster Arlan Galbraith, there were concerns about how some of the numbers would translate to an independent album with no visuals to fill in the blanks. With that being said, some components of songs have been added, while others have been dropped, making for a satisfying arrangement ready for the studio. Garratt says there are eight solid songs to be recorded for the album, however, to flesh out the rest, the group has worked to incorporate some of the atmospheric music that audiences would remember from the production and adapt it to the album. The recording process was a quick one, with two 12-hour recording sessions booked in Holmesville. Garratt said the group wanted to record the production’s music the old-fashioned way. Not only was it being recorded in Powers’s barn recording studio, but the artists also wanted to play the songs live in the studio, recording them together, rather than isolating different parts and then mixing them together in post-production. Much like the creative process the led to the original writing and arranging of the songs and the casual rehearsal process at Garratt’s home, he felt that an organic, casual recording atmosphere would best suit the music the group was attempting to create. 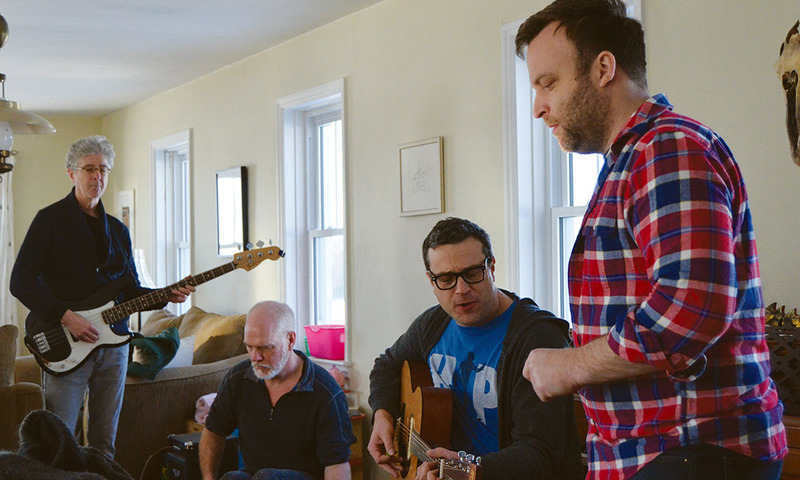 As the group rehearsed and figured out arrangements, that process too was rather organic, Garratt said. If one of the creators brought a song concept to the table and led the way on writing it, then it was up to that artist to again lead the way on its recording arrangement. Garratt said that it only made sense that way. Once the album is recorded, Garratt hopes it will be available on CD from the Blyth Festival box office, perhaps in time for the 2019 season. In the meantime, tickets for The Pigeon King at the National Arts Centre are now on sale. The show runs in Ottawa from April 24 to May 5, marking the first time a Blyth Festival show has been chosen to grace the hallowed centre’s stage.